Philip Morris International Inc has for years paid manufacturing costs to its Indian partner to make its Marlboro cigarettes, circumventing a nine-year-old government ban on foreign direct investment in the industry, internal company documents reviewed by Reuters showed. 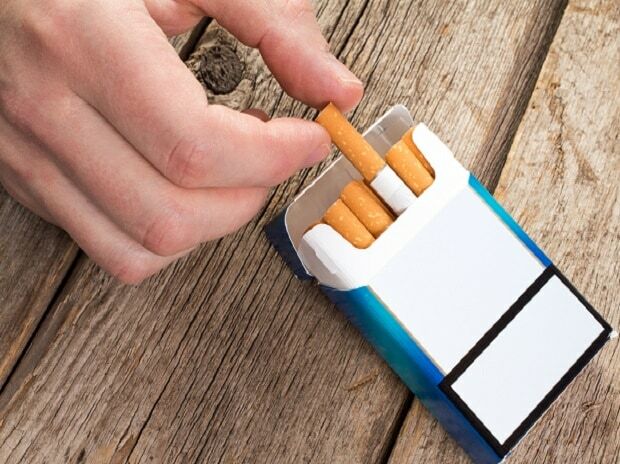 Restricting foreign investment leaves cigarette manufacturing largely in the hands of domestic players, and is supposed to prevent any foreign-funded expansion. A year after the government's decision, Japan Tobacco exited India, citing an "unsustainable business model". Philip Morris, though, stayed in India and used another route, according to company documents dated between May 2009 and January 2018. A year before the FDI ban, it struck an exclusive deal with India's Godfrey Phillips to locally manufacture the world-famous Marlboro cigarettes. Ever since then, Godfrey has publicly acted as a contract manufacturer of Marlboro cigarettes in India, while Philip Morris's majority-owned local unit acts as a wholesale trading company and promotes the brand. Philip Morris' director for corporate affairs in India, R. Venkatesh, in an e-mail, said the company's "business arrangements with Godfrey Phillips India comply with Indian Foreign Direct Investment Rules". He did not elaborate. Six invoices issued by Godfrey showed billing of 45.5 million Indian rupees ($644,200) to Philip Morris between December 2013 and January 2018 for manufacturing-related charges. Philip Morris paid for items ranging from large cigarette-making machines to costs of smaller equipment such as barcode scanners and printers deployed in Godfrey's factories. Godfrey Phillips' head of corporate affairs, Harmanjit Singh, said in an email that all the commercial arrangements "are in complete compliance with the extant regulations governing the Indian Foreign Direct Investment and other applicable laws, and, incidentally, all transactions are in Indian Rupees. Also, it is our considered view that no illegality can be impugned to these commercial transactions between the parties." Philip Morris' local unit and Godfrey arranged a mechanism for such transfer of funds around the time they struck the 2009 deal. A 94-page "procurement agreement" signed between the two sides that year, which is not public but has been reviewed by Reuters, said that Godfrey may acquire new machinery for solely manufacturing Marlboro cigarettes and will then "invoice PM (Philip Morris) India" for charges in a phased manner. Philip Morris "shall pay such invoice by bank transfer", the agreement said. Other than those regular payments, Philip Morris also signed off on one-time expenses and refurbishment costs incurred by Godfrey on at least two occasions in 2013 and 2014, according to internal e-mails and accounting records. It then accounted those transactions internally under a heading "Packaging - Research", accounting records showed. Three former officials and one former head of India's main financial crime-fighting agency, the Enforcement Directorate, reviewed the Philip Morris documents for Reuters and said the dealings should be investigated for circumventing India's foreign investment rules. One of the former officials said that paying for machines to manufacture cigarettes essentially resulted in the promotion of cigarettes, and the government's intent of banning foreign direct investment in 2010 was to deter that. Bhure Lal, a former head of India's Enforcement Directorate, said the companies "should be investigated ... they are camouflaging". The current chief of India's Enforcement Directorate, Sanjay Kumar Mishra, did not respond to a request for comment. Jain of Nishith Desai Associates, which also advises global companies on foreign investment rules and reviewed the Philip Morris documents for Reuters, said the company was able to circumvent the FDI prohibition in cigarette manufacturing by paying for the machines through invoices. That's because the Indian regulations only restrict direct foreign investments into a company and were silent on such indirect payments for machines, she said. "The company can argue in its defence that it is only funding the equipment purchases and not investing directly in an Indian cigarette manufacturing company, and they would be technically correct," Jain told Reuters. The Indian journey of Philip Morris, which is one of the world's largest international tobacco companies, began in the late 1960s when it acquired a majority stake in the London-based parent of Godfrey Phillips. It gradually reduced its stake in Godfrey over the years, in part due to regulatory changes, and currently holds a 25 percent equity stake. Among the payments outlined in the documents, Godfrey in January 2018 sent an invoice to Philip Morris's local unit for 10.2 million rupees ($144,500), billing for charges for the preceding six-month period, an invoice showed. In August 2017, Godfrey sent an invoice for manufacturing-related charges of 9.5 million rupees ($134,600). In July 2016, the head of Philip Morris's India supply chain operations, Nilay Mehta, asked a Godfrey Phillip executive in an e-mail to raise a purchase order for an embossing roller, a type of equipment used in cigarette manufacturing. Given the equipment had to be used only for Marlboro manufacturing, "IPM will be picking the cost for this", Mehta said in an email to a Godfrey executive on July 26, 2016. Philip Morris is a small player in India's estimated $12 billion cigarette market but has seen its market share rise steadily in recent years. That was aided by its marketing activities, such as advertising at roadside kiosks and free distribution of cigarettes at parties. Both tactics were described as illegal by health officials in a Reuters investigation published in 2017.